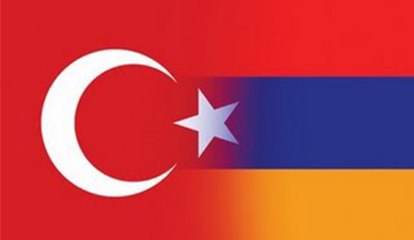 For Turkey and Armenia, normalization and reconciliation can be seen as two sides of the same coin. A critical and achievable breakthrough would be the opening of the international border and the establishment of full diplomatic relations between the two countries. However, meaningful progress at the inter-state level does not seem probable in the immediate future given the heighted political sensitivities around the historic commemorations of this year. Nonetheless, the authors argue that informal normalization is occurring. Across Turkish and Armenian societies, the “thaw” is expanding, and appears to be sanctioned by both governments. For the deeper process of reconciliation, both countries should support smaller, symbolic efforts that allow for dialogue and understanding. Dr. Fiona Hill is Director of the Center on the United States and Europe (CUSE) and a Senior Fellow in the Foreign Policy program at the Brookings Institution. Prof. Dr. Kemal Kirişci is the TÜSİAD Senior Fellow and Director of the CUSE Turkey Project at Brookings. Andrew Moffatt is Associate Director of the CUSE.